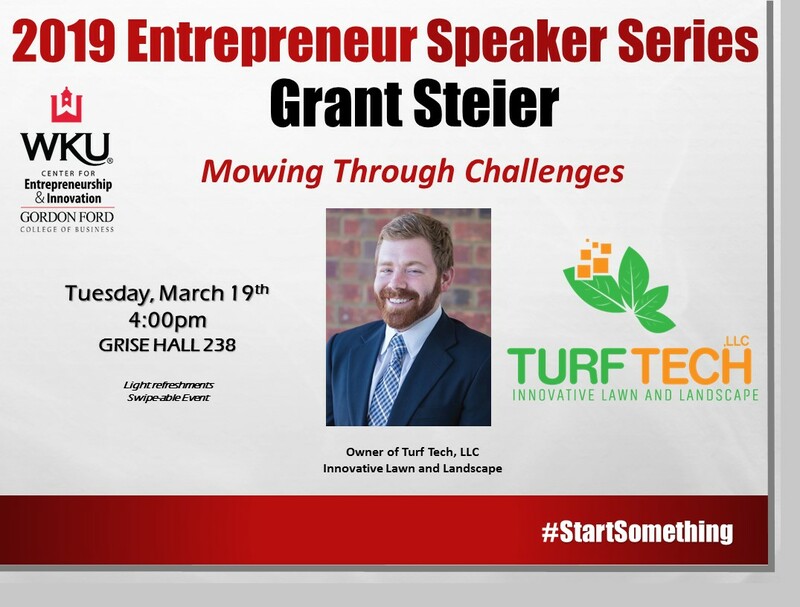 Join us at our March Entrepreneur Speaker Series, “Mowing Through Challenges” with Grant Steier (Owner of Turf Tech, LLC Innovative Lawn and Landscape) The event will take place on Tuesday, March 19th at 4pm in Grise Hall 238. This is a swipe-able event! We hope to see you there.